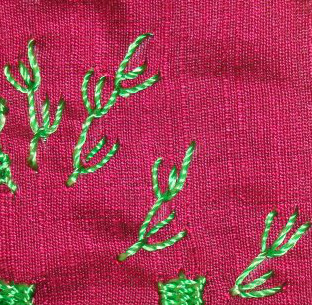 With sumptuous surfaces class project work, this week’s TAST stitch experiments, some work on tunic- this was a busy week. 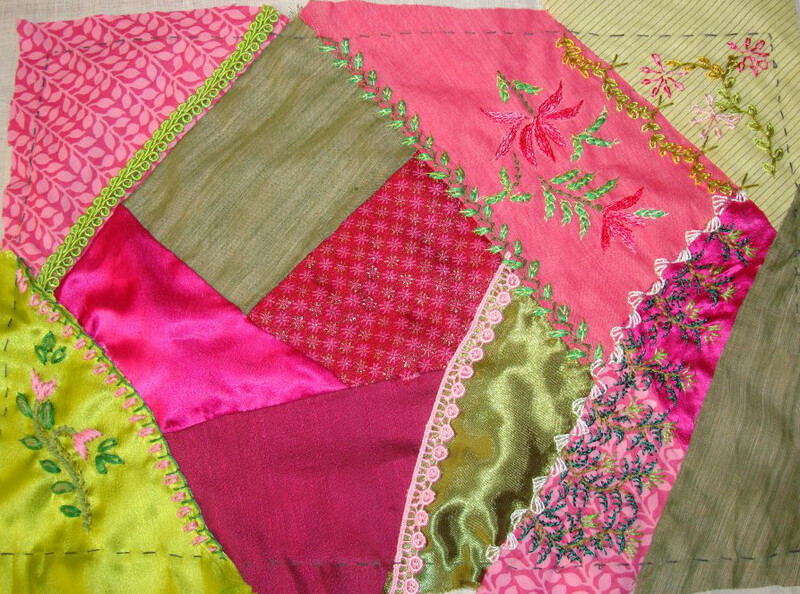 I did a small seam and spray on this hussif. 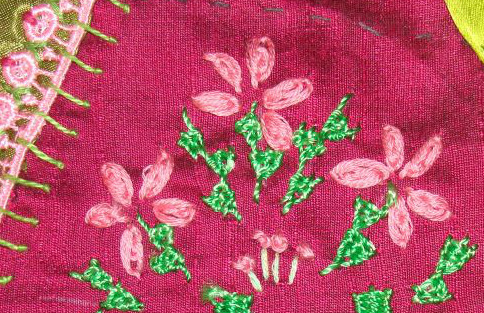 Long tailed chain stitch flowers, feather stitch stem and detached chain were worked on this floral design. beads will be incorporated later. 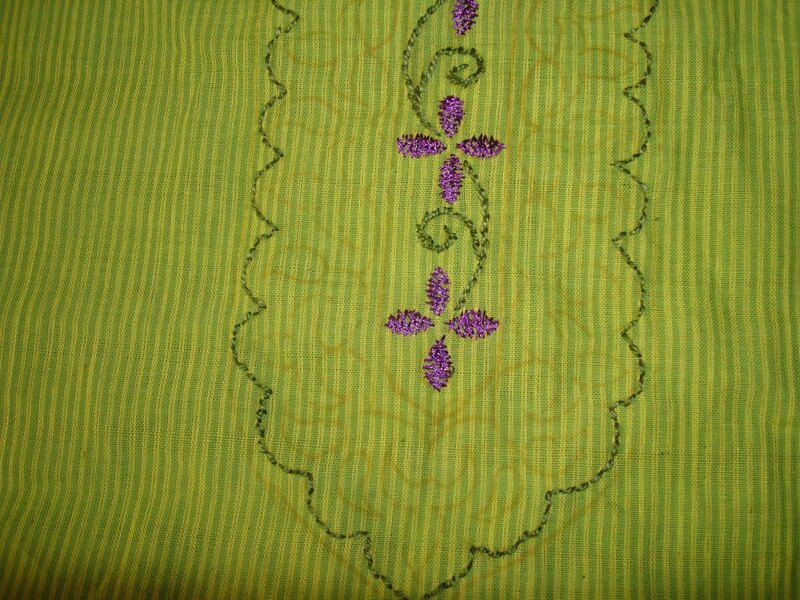 My tailor is back from is vacation, I had given a light green mangalagiri striped cotton fabric for marking the front of the tunic. 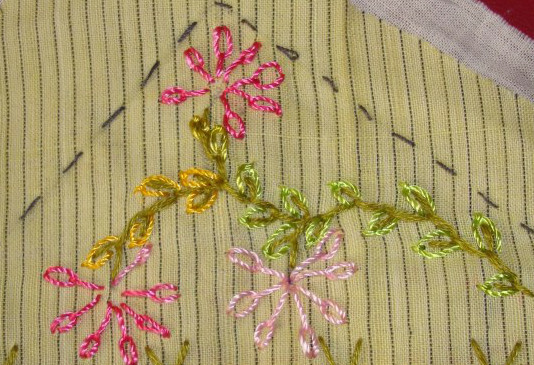 After tracing the pattern, started herringbone filling in silk thread, stem stitch in perle thread. This pattern has provision for mirrors.